A calendar was also produced, the example below has a calendar attached from 1928. Calendars were still being issued / used after the A.O.F.B. was voluntarily wound up, another known example dates to 1933. 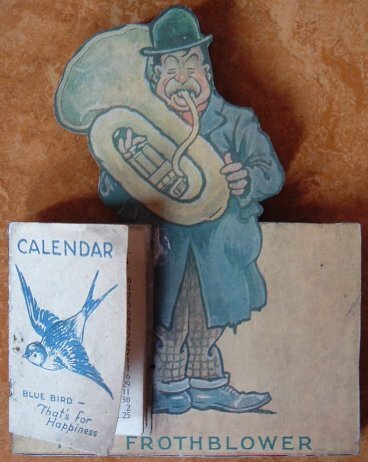 Made of wood bearing the legend 'The Frothblower', a small paper calendar was glued to the body of the wooden frame.